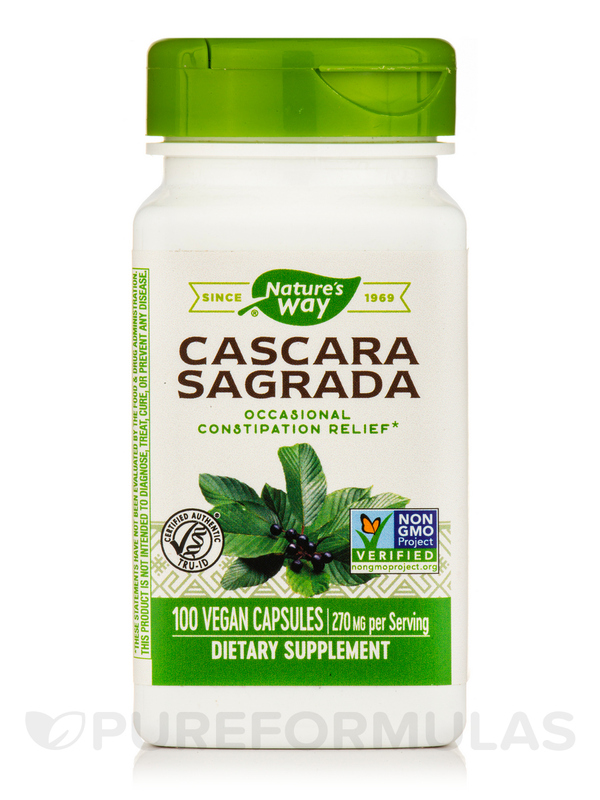 During treatment for Lyme disease I was told it was very important to "keep things moving" and Cascara Sagrada Aged Bark by Nature's Way helped, in a gentle way. I only ever needed half the recommended serving. Good deal. Before starting on blood purifier I was told to clean my guts with it for a week. 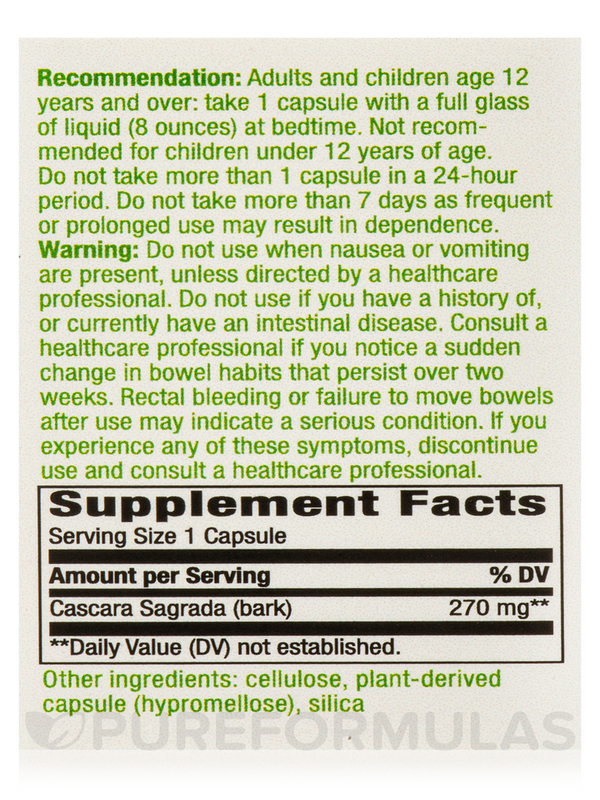 I ended up taking Cascara Sagrada Aged Bark by Nature's Way 2 x 3 times a day. Works beautifully. 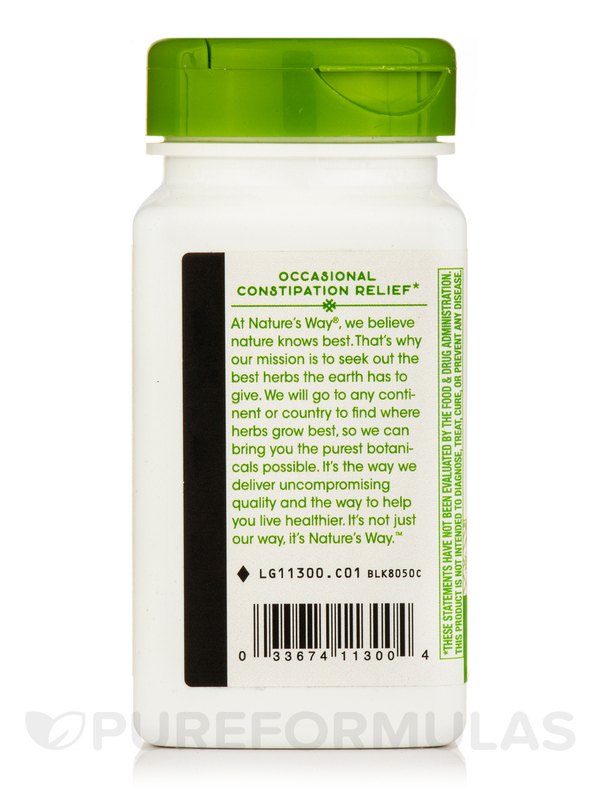 3-4 bowel movements a day. Soft stool, not diarrhea. 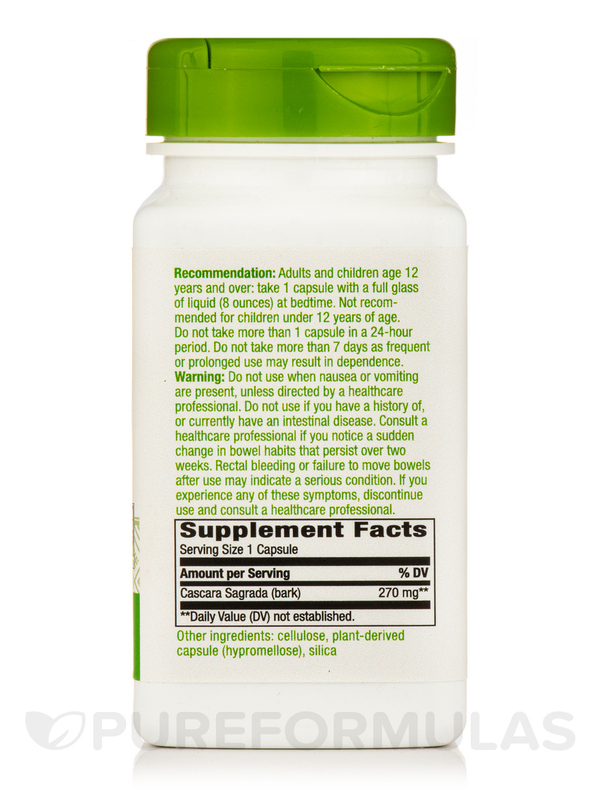 Aged bark in Vcaps‚ certified 425 mg per capsule. Take at bedtime as needed with a full glass of water. 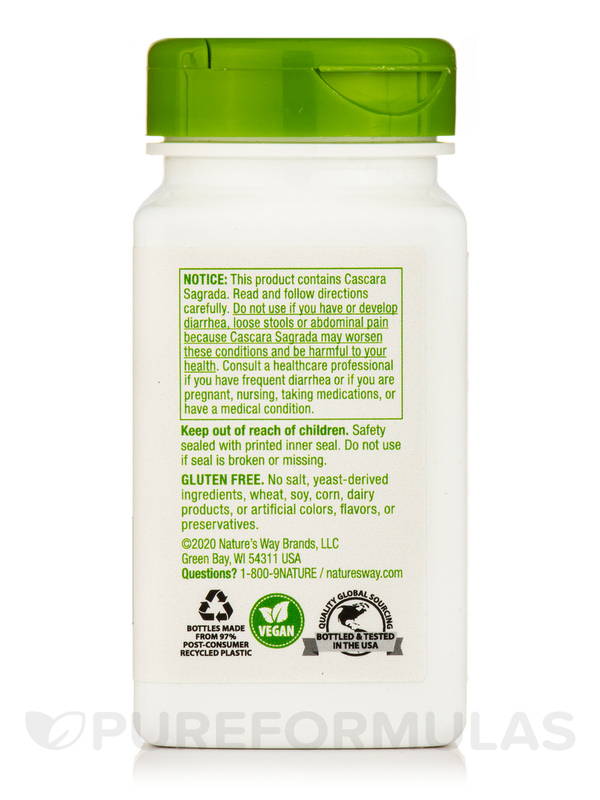 Adults & Children age 12 and over: Take 1-2 capsules. Do not exceed recommended dose. Do not take for more than 1 week as frequent or prolonged use may result in dependence. Cascara Sagrada is a great product! Cascara Sagrada Aged Bark 425 by Nature's Way it is a great product and works fast!